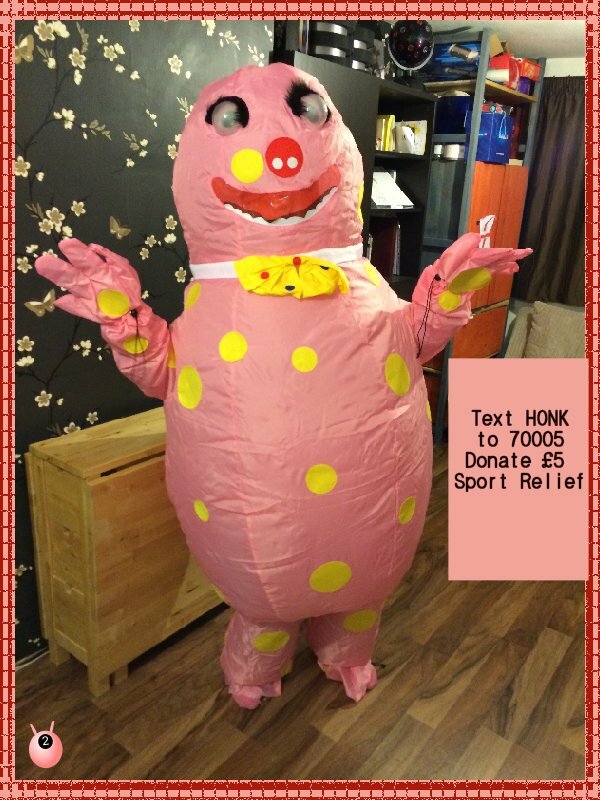 Have you heard that #TeamHonk Alexander Residence, Mammasaurus and Mummy Barrow have come together once again to help raise money for Sport Relief.You may recall that last year they went to Ghana to see the Good Work that has been done in the 25 years of Comic Relief. This year they have organised over 200 bloggers, their friends and families in a Blogger Relay from Lands End (12th January 2014) to John O Groats (23rd March 2014), zig zagging up the UK to incorporate 38 regional teams! The aim is to raise over £20,000 for Sport Relief. See the master plan here and it’s not too late to get involved! You can see photos from the relay here to see the story so far which hilarious methods people have used/going to use to get around and raise some money. Along the journey is a baton and you can Name the baton and win here. In fact here in Gloucestershire Julie from JuliesNotebook will be collecting 2 Batons from Wales and Bristol – look out for her as she will be dressed as a Gloucester Fan with her dog! Sarah at Mum of three World will then be RUNNING for 10 miles! I really cannot do that so instead am walking for 6 miles. 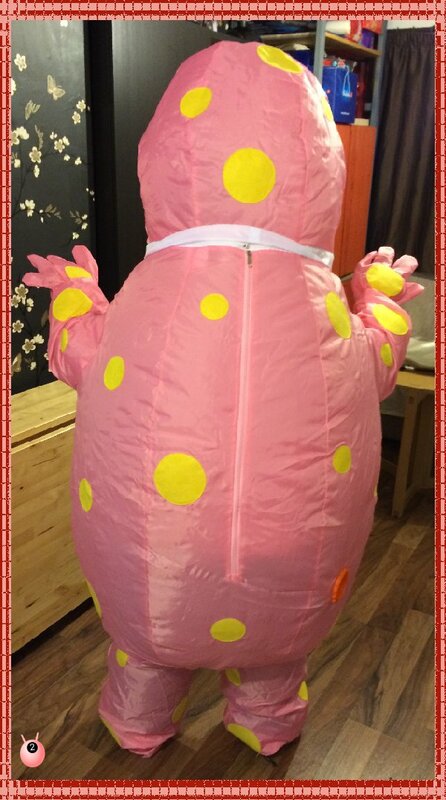 As that does not sound like a lot the lovely people at Party Delights LTD have sent me a rather fetching Mr Blobby costume – so that I look a lot more like more avatar and am easily recognisable! I will have the Batons for 2 nights where the Cubs and the Beavers are going to get involved to help me raise some more money. We are still finalising plans about this and would be more than happy if there was someone/brand that were happy to get involved: If you would like to help out please get in touch. Those who have helped contributed to this great relay will be listed on the Thank yous page. • £1 could provide a hot meal for a child in the UK living in extreme poverty. • £5 could pay for a mosquito net to protect a mother and her baby in Africa from contracting malaria while they sleep. • £10 could enable an older person in the UK who just lost someone they love to attend a group activity. • £25 could run a sports session for disabled children in the UK, giving them the chance to play with other young people. • £100 could feed 200 children living on the streets in India for one day. • £300 could provide a water point in the slums of Tanzania, giving hundreds of families access to safe, clean water. • £500 could provide six months of support for a young person in the UK with mental health issues. Oh my gawd. That is all! Oh my gawd! THis will be hilarious. I cannot wait! It’s pink therefore you will rock it Joy!